Why Do Certain Sounds Help You Fall Asleep? You’re cozied up in bed, drifting off and it begins to rain. How do you react? If you’re like the rest of the herd, you probably shrug it off. But, if your phone goes off, your reaction is likely the exact opposite. These different responses are the basis of a study completed by a Pennsylvania State University professor, who’s discovered why certain sounds lull us to sleep and others perk us up. Non-threatening and threatening — that’s how Penn State professor Orfeu Buxton categorized noise during his study on sounds for sleeping. Biologically, our brains are programmed to wake us when we hear abrupt, threatening sounds. Buxton’s study, for example, found an alarm played at 40 decibels, which is comparable to a whisper, woke 90 percent of participants if they were lightly sleeping, while those in a deep sleep woke up around 50 percent of the time. Constant sounds, like traffic, didn’t wake participants at the same rate, even when reaching 70 decibels, which is about the volume of shouting. Why? Because the sounds were constant and consistent, even if their noise level varied, instead of jarring like the alarm Buxton and his team played. To your brain, constant sounds are non-threatening, while sudden sounds are threatening. And it makes sense. If you always reacted to constant noises, like the hum of your refrigerator, how could you focus on anything else? Abrupt sounds often prove themselves as worthy of attention as well. Understanding the types of sounds and their categorization is helpful if you’re a light sleeper or have trouble falling asleep because you can then find music that will help you fall asleep without waking you up later. The possibilities of sound are endless, which is why your sleep sound selection is limitless — just avoid those threatening noises. That also means silencing your phone to prevent stray notifications from coming in and disrupting your slumber. If you opt to listen to music, like classical and folk songs, you want ones with a slow rhythm. Around 60 to 80 beats-per-minute (BPM) is recommended by the National Sleep Foundation, which also suggests you choose familiar songs. They lower your heart rate. With smartphones and tablets, it’s easy to make them your designated sound machine for putting you to sleep. Buxton, however, recommends against using your smartphone because of unexpected notifications. If you own an MP3 player, try using that instead. If you’re reliant on your smartphone, turn on the “Do Not Disturb” setting or, even better, put your phone in airplane mode. Airplane mode will prevent notifications from coming in, plus it won’t affect your alarms so you’ll still wake up when you need to. Just remember to download your songs beforehand, as you won’t have access to Spotify, iTunes or other music streaming sites. Thanks to Buxton’s research, we understand how and why certain sounds lull us to sleep while others are successful at jolting us awake. Start improving your sleep quality by listening to sleep music that’s constant, non-threatening and has a low BPM. 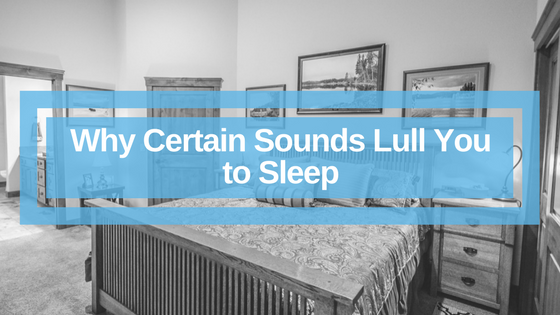 Want to learn more about sounds for sleep or other interesting topics like soundproofing and noise pollution? 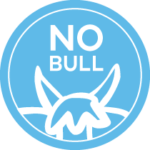 Sign up and subscribe to our Bull Bulletin. We’ll keep you updated on the latest news so that you can sleep even better than a baby — or in our case, a calf.